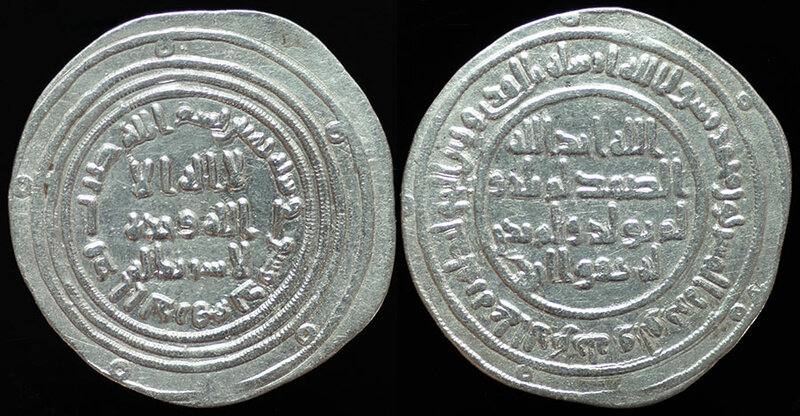 This is an early example of an Early Post-Reform silver Dirham (Dinar) issued by 'Abd al-Malik Bin Marwan (65-86 AH or 685 -705 AD). I believe this example is from 79 - 80 AH so it's from just a few years after the typical Post-Reform types were first struck in 77AH. All are carefully minted but ruler names are not part of the legend. However, the date is always present so the ruler can be determined from the date in most cases. This is Album Checklist # 126; 2.83 g & 22 mm.